We moved into our home 3 years ago. When we first looked at the house, we knew we would be taking down the old wall paper in the kitchen. A couple of months after we moved in, we had our three nieces overnight. 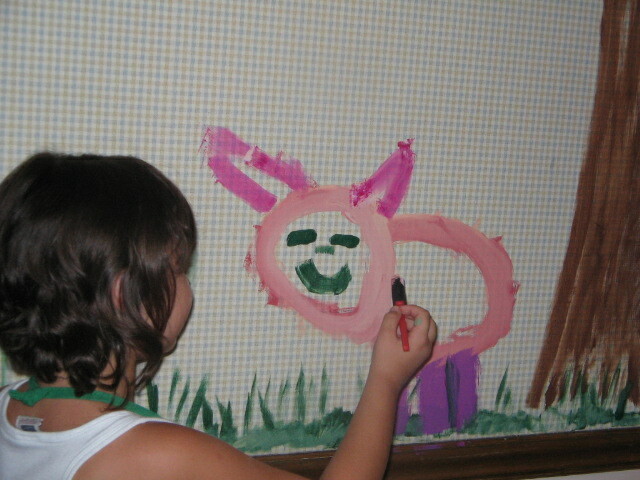 We didn't have any games or toys for them, so I planned for a craft day for that first day. 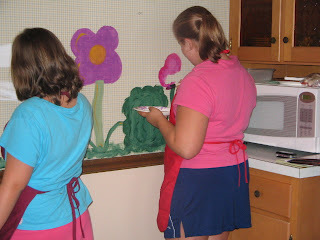 We started with painting a mural on the largest kitchen wall. 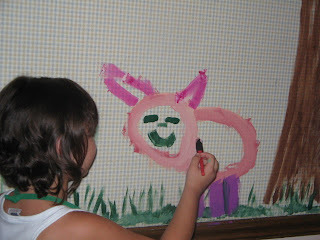 I dug out some little bottles of paint and some foam brushes from my craft stash and let the kids paint the wall! The kids thought it was great! They thought I was great! I loved that this was a cheap activity. 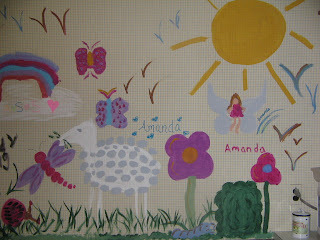 It really didn't cost me anything, since I had the brushes and paints in my craft room already. Note: I chose these pics of the kids since their faces aren't showing. I have other pictures of them smiling prettily into the camera, but I didn't ask their mom's permission to post them. If you decide to do this with your kids, make sure you have a plan. 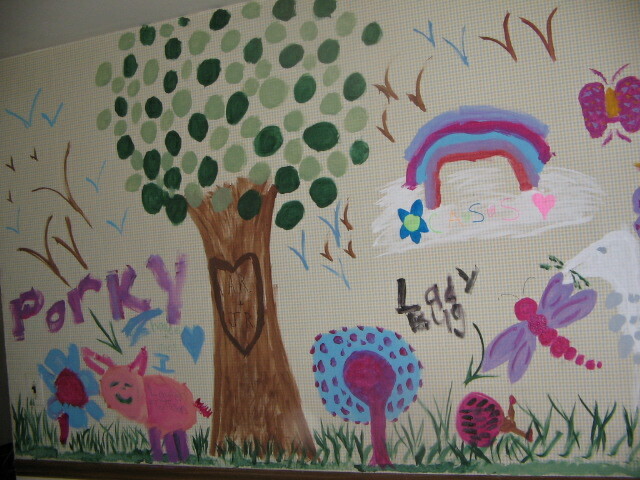 We thought we would have the kitchen painted shortly after I let the kids paint on the wall. But that didn't happen. I lived with this on my wall for almost a year. As cute as it is, the novelty wore off after a couple of days. How fun! How often do you get to paint on the wallpaper?